Harnessing ‘people power’ to manage fisheries in the developing world has significantly benefited local communities and coral reefs, according to new research. “Studies about the environment, and particularly fisheries, abound with bad news, but here, we see a glimmer of hope,” says lead author Professor Joshua Cinner, from the ARC Centre of Excellence for Coral Reef Studies at James Cook University. Historically, fisheries management in East Africa has followed a ‘top down’ approach, but in 2006, the Kenyan government introduced a pilot program that gave communities the ability to develop and enforce their own fisheries rules and regulations. The researchers studied the impact of the program on both the environment and the livelihood of the fishermen. In an article published in the journal Global Environmental Change, Professor Cinner says the strategies that local communities developed to manage their fisheries benefited the fishery, the corals and importantly the people’s livelihoods. “A third of the people we surveyed said that their livelihoods had improved as a result of the new form of local management, and only about three percent of people felt it was bad for them,” Professor Cinner says. While not every area improved ecologically and not everyone benefited from the program, the researchers saw a big change in people’s attitude toward conservation. “Perhaps the biggest surprise was that a whole raft of local communities started developing their own mini-marine reserves,” Professor Cinner says. 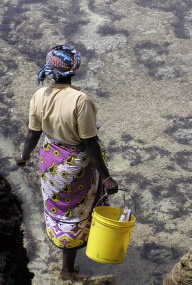 The change in attitude toward conservation is significant because earlier attempts by the Kenyan government to develop a marine park in the 1990s resulted in violent protests. “Sometimes progress comes from convincing people by using real data,” says study co-author, Dr Tim McClanahan from the Wildlife Conservation Society. “Before we collected the data, opinions could be swayed by political considerations and by fear but that’s much harder now that the research shows there really are few losers in the new system of locally-led management. “Now, we can barely keep up with all of the communities wanting to start up their own marine reserves,” Dr McClanahan says. But the researchers warn against complacency. “It’s easy to think that we can just hand things over to communities and they will manage fisheries on their own, but they need help and support in doing so,” Dr. McClanahan says. 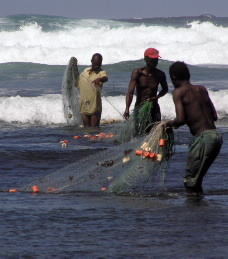 A sea change on the African coast: Preliminary social and ecological outcomes of a governance transformation in Kenyan fisheries by Josh Cinner and Tim McClanahan is published in the journal, Global Environmental Change.